WinToUSB is the World’s First and Best Windows To Go Creator which allows you to install and run a fully-functional Windows operating system on an external hard drive or a USB flash drive. It is so easy and efficient, with just a few simple steps and a few minutes, you can create your first portable Windows 10/8/7 directly from an ISO, WIM, ESD, SWM, VHD, VHDX image file or a CD/DVD drive, or you can use it to clone an existing Windows 10/8/7 OS installation to a USB drive as portable Windows. 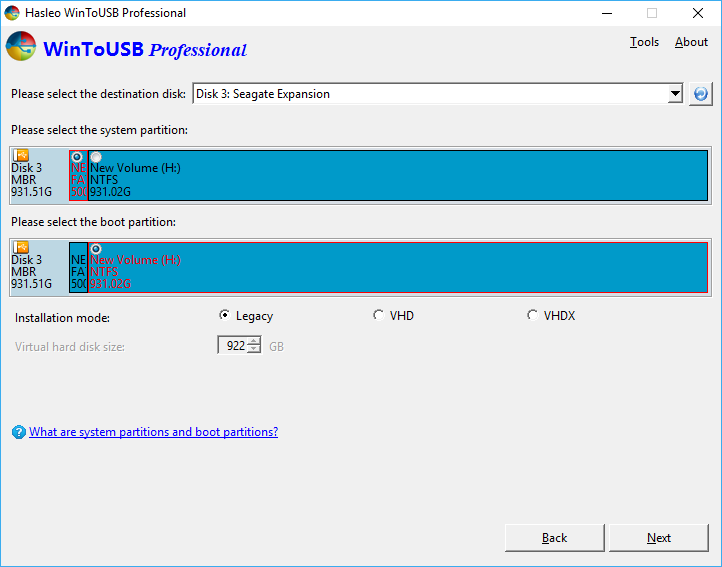 WinToUSB also supports creating a Windows installation USB flash drive from a Windows installation ISO file, so you can install Windows from the USB flash drive easily. Windows To Go allows users to deploy a bootable Windows environment onto a USB flash drive. It is a full version of Windows with all the features that you can use in any PC, and carry around with you wherever you wish to. Many applications are available nowadays, that allow you to create Windows To Go on your portable drive. Some of these work well, while others are buggy. WinToUSB Professional is a lightweight and reliable software application, that can help you to install and run Windows OS from a USB storage device. This application allows you to install Windows directly from a USB drive, using an ISO image or even a CD/DVD to deploy it on the removable storage device. The installer size is ~5MB and the installation process is simple and straightforward, taking no time at all to complete. The application can easily be activated, using the provided license key. Once activated, it requires a restart of the application for the changes to take effect. After this, you can then start using the application, and use it to install and deploy Windows on any portable storage you wish to. The UI of the application is simple and straightforward, with an old and outdated design, without any fancy icons and colors. Simplicity makes it possible for all types of users to understand and use the application without requiring any prior experience and knowledge. To install Windows on any portable storage you need an ISO image, or a CD / DVD with the required data on it. You can select the tool from the top right down menu, Windows To Go conversion, Installation USB, and CD/DVD to ISO are the options available. Moreover, the language of the UI can be changed to any from the ones available. – Creation of Windows To Go directly from ISO, WIM, ESD, SWM, VHD, VHDX image file or CD/DVD drive. – Clone existing Windows installation (Windows 10, 8.1, 8, 7, 2016, 2012, 2010, 2008 R2) to USB drive as portable Windows. – Create a Windows installation USB drive from a Windows 10/8/7/vista/2016/2012/2008 installation ISO image file. 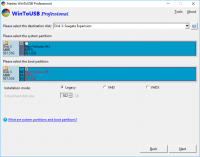 – Also supports creating a bootable Windows PE USB drive. – Cloning speeds are impressive. lag or crashes. It is worth-trying. – The UI looks and feels outdated, is not visually appealing at all.